This is a very exciting day. As much as I enjoyed our time in the Northern League, this is going to be a better experience for all of us. 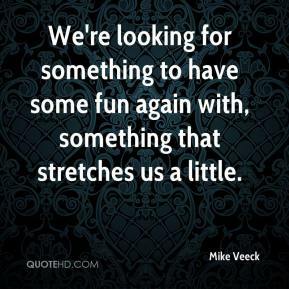 Times have changed since 1993 and I'm very comfortable with that. I'm looking forward to the challenge of this new league. It came to us by accident. 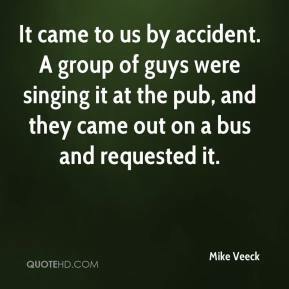 A group of guys were singing it at the pub, and they came out on a bus and requested it. 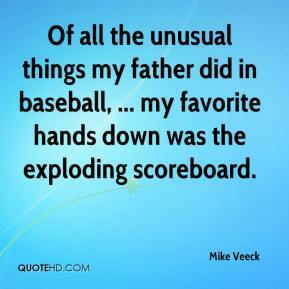 Of all the unusual things my father did in baseball, ... my favorite hands down was the exploding scoreboard. Do you know where he got the idea? 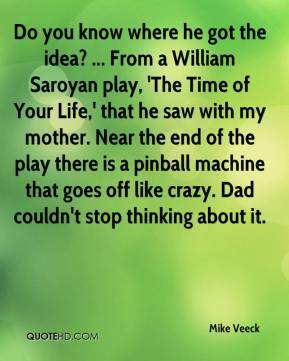 ... From a William Saroyan play, 'The Time of Your Life,' that he saw with my mother. Near the end of the play there is a pinball machine that goes off like crazy. Dad couldn't stop thinking about it. I'd walk into the park with him. He'd be holding my hand and he had this funny gait, and everyone would say hello to him: the vendors, the security guy, the receptionist. It was all so joyous. And then the team winning the pennant. 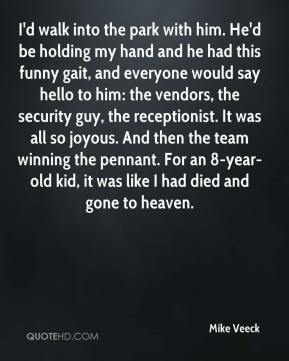 For an 8-year-old kid, it was like I had died and gone to heaven.